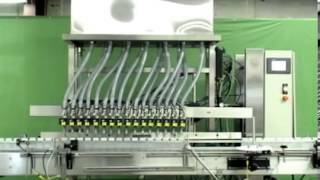 If you’re interested in learning more about a full bottling line, you’ll enjoy these video demonstrations that showcase the entire process from start to finish. Visualize the entire process, from bottle cleaning to labeling and everything in between. If you’re building a bottling line from the ground up, you’ll need to invest in a range of machines that will serve the entire process. The line will start with a bottle cleaner for preparing the bottles, and will also need to have conveyers to bring bottles from one station to the next. It will need the actual liquid filling machine, which is how you’ll get your product into the container—there are several types of liquid filling machines available, and depending on what your product is, one may be better suited than the others. You’ll then need a capping machine and a labeling machine, to ensure your package is tightly sealed and ready for shipping. Making your packaging line as efficient as possible starts with ensuring your liquid filling machine is the right one for your product. If you’re dealing with large quantities or expensive-to-manufacture liquids, for instance, net weigh fillers may be best. Beyond that, cap sorting elevators can help save time because they orient the caps so that you don’t have to do so manually. Check out these videos to learn more about which machines can help expedite the time spent between starting and finishing the bottling process. 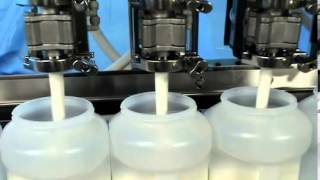 Contact E-PAK Machinery for help deciding which liquid filling machine is best for your product.